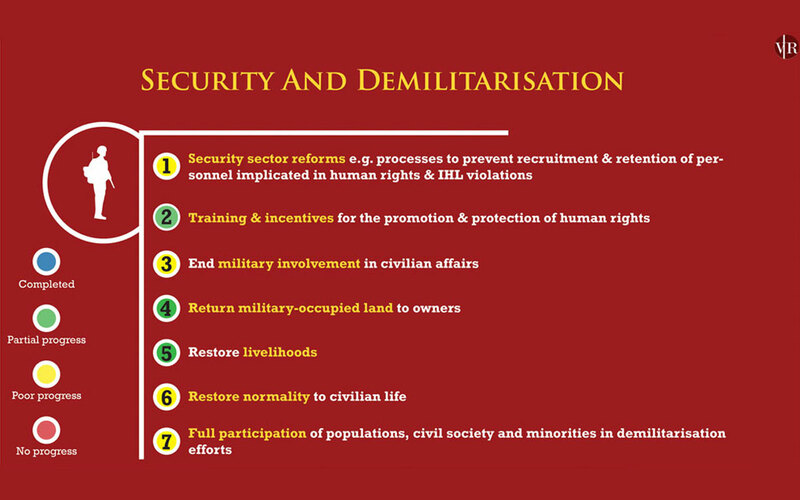 In September 2015, Sri Lanka co-sponsored Resolution 30/1 at the 30th Session of the United Nations Human Rights Council (UNHRC). 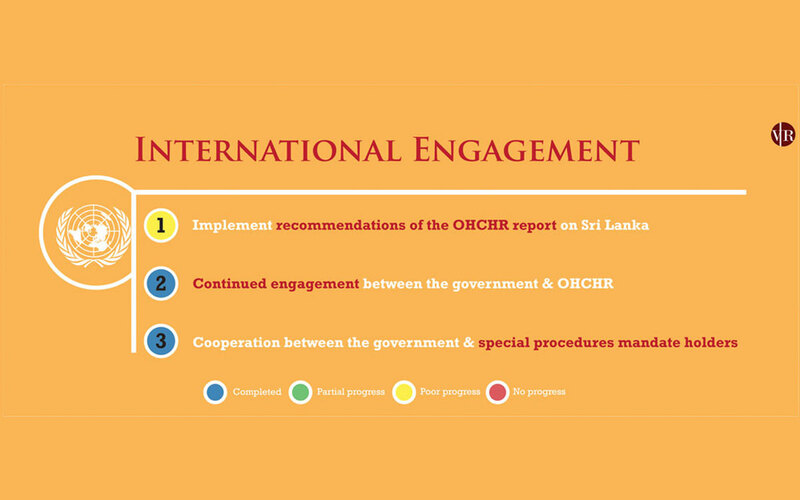 In doing so, the Sri Lankan government committed to a range of measures dealing with human rights, accountability, and reconciliation. 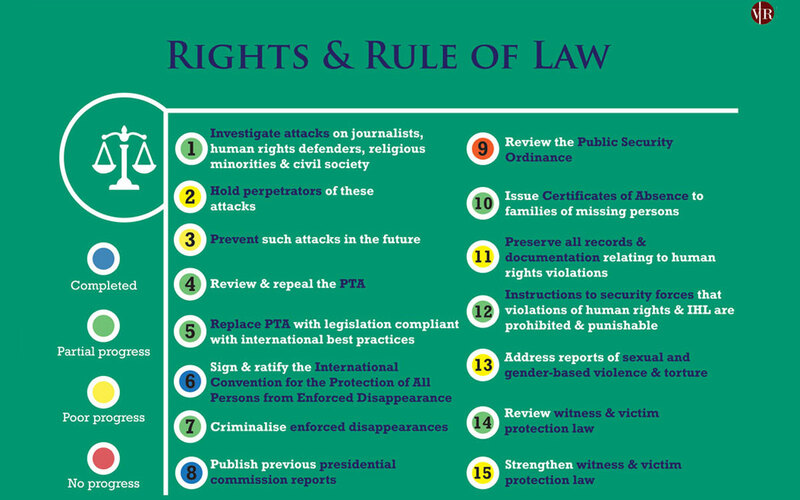 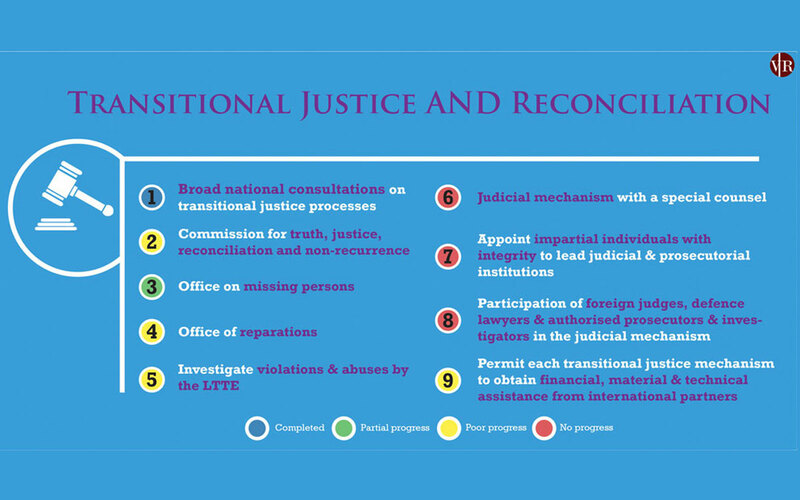 The government’s commitments in Resolution 30/1 have come to denote the main features of Sri Lanka’s transitional justice agenda, particularly with regard to accountability mechanisms for abuses suffered by victims of the conflict. 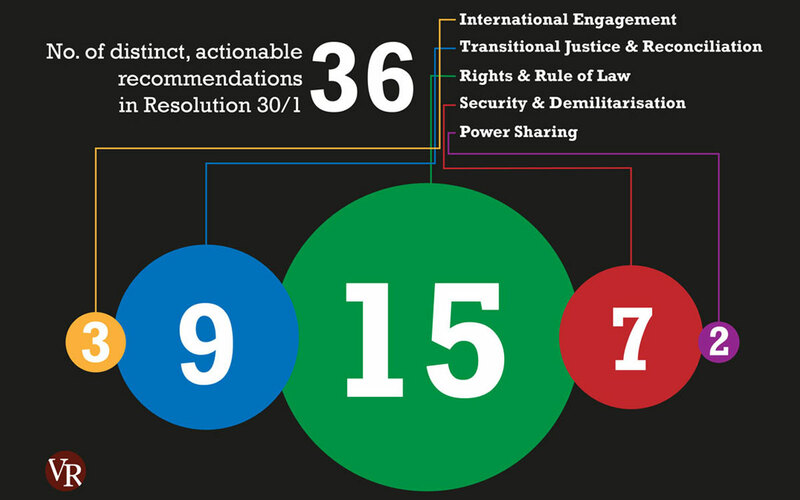 Resolution 30/1 contains 36 distinct commitments that fall into five broad thematic categories. 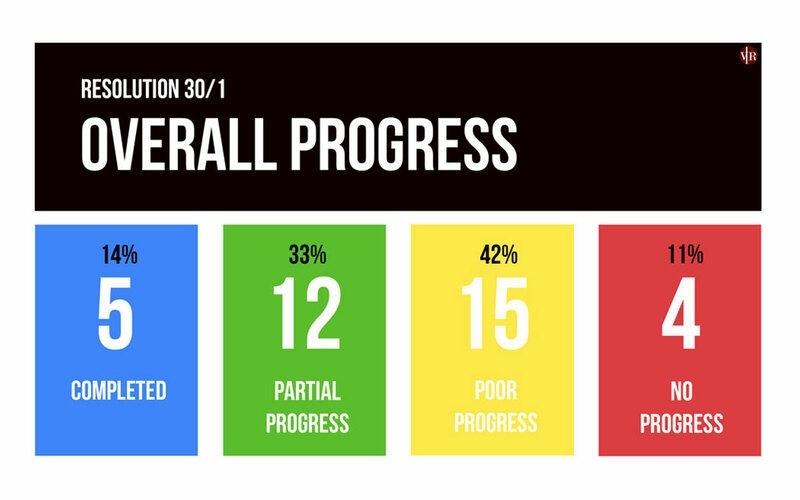 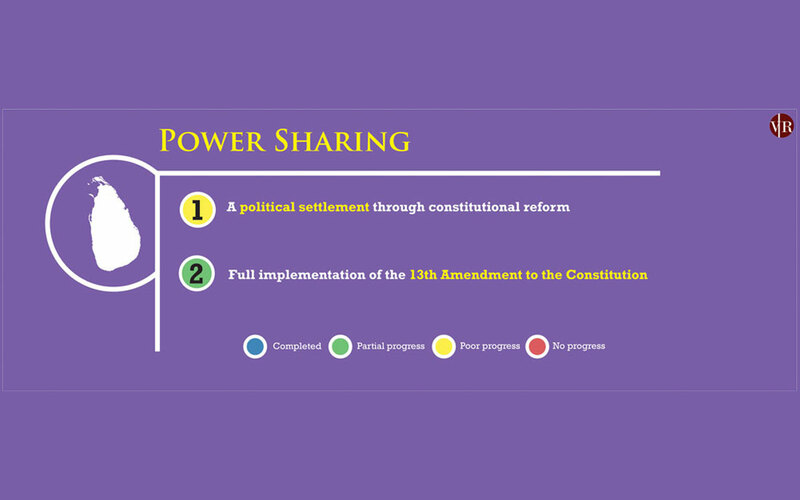 These images illustrate the progress made in implementation under each five categories.